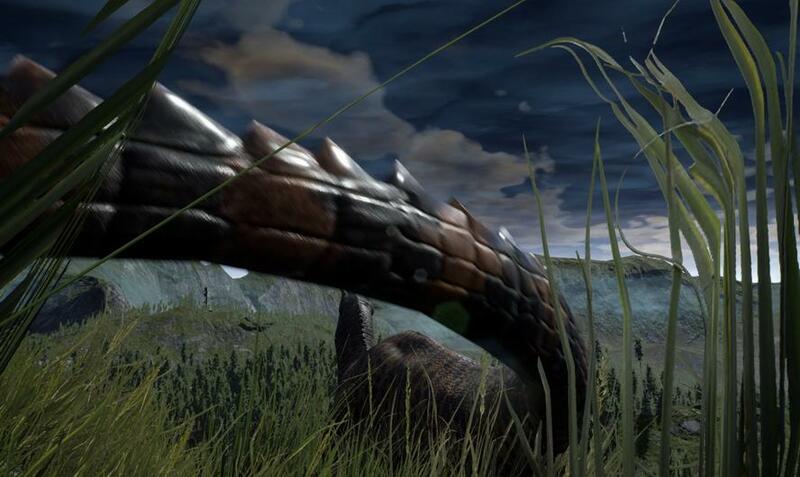 This guide attempts to bring you the most up-to-date survival walkthrough for Parasaurolophus. Parasaurolophus is a fairly safe choice of dinosaur for a player who wishes to avoid combat, but not be totally helpless when forced to fight. Despite being seen as an easy meal by many, a vigilant Para is difficult if not impossible to chase down and kill without being quietly surrounded by a stealthy pack beforehand. Faster than anything which can easily kill it. Stronger than anything which can easily outrun it. Low food and water requirements even while growing. Fairly slow to grow (3 and 1/2 hours from spawn to full adult). Loud as... The chat-call can be heard from almost as far away as most 1-calls. The juvenile Parasaurolophus is too slow to run from most predators, and too weak to fight anything its own size or larger. Therefore, the order of the day is stealth. Despite its flamboyant coloration, the juvie Para is well-suited to hiding under trees with low-hanging branches thanks to its sitting animation, wherein it slightly curls its body to reduce length. Since the juvie Para can last about a half hour without eating or drinking, filling up both bars right at dusk and then sitting under a tree for the night is the most ideal way to gain substantial growth whilst going unnoticed. The adult Parasaurolophus is substantially faster and stronger right from the moment you hit "grow," but still has a hard time with anything larger than Dilophosaurus for the first half of its growth. After hitting that halfway point, only large and fast predators Allosaurus and Giganotosaurus pose a major threat; said threat can be avoided through stealth, provided you can find foliage thick enough to hide you. Somewhere between 0.9 and 0.95 growth is when you can confidently hang out in open fields to take advantage of your speed. The adult Parasaurolophus tends to find the most success with a semi-nomadic lifestyle, but is just as viable as an explorer for those players trying to learn a map. It loses hunger and thirst slowly enough that a Para player can claim a rather large area as its home to wander and even nest in. Only the largest Para herds will ever consume resources quickly enough to require a mass migration, again owing to how large of an area they can afford to wander around any given pool. In my own playthroughs on the Isle V3 map, it's not uncommon for me to wander between two fairly distant bodies of water (such as the twin lakes and the gigantic marsh) without hardly eating or drinking, just because I can. When being hunted, especially by a pack, you should always choose running as your first option. Para is basically the Allosaurus of the herbivores, and consequently is somewhat fragile for its size. When fleeing, you should initially trot until the predators are close and/or crouching, at which point you should run. This will almost always put enough distance between you to out-last their ambush speed. Once you have begun running, keep the camera pointed forward. Not doing this is the most common mistake I see with any dinosaur, and it kills me every time I see it. Not looking where you're running is 100% guaranteed to have you run into an object or off a ledge, immobilising you or inflicting bone break respectively. Instead, just run for about twenty seconds, then slow down and have a look behind you. 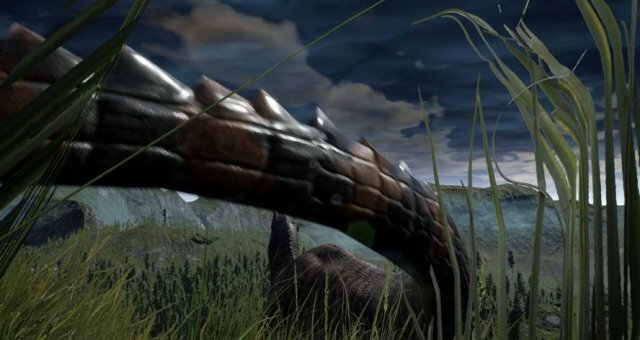 Any predator besides Carnotaurus will be at a safe enough distance to view this way, and you might even be able to rest for that extra stamina regeneration. Fighting is occasionally unavoidable. Maybe they're faster than you (i.e. Carnotaurus). Maybe they got ahead of you while you hid in some brush. Maybe you just weren't paying as good attention as you thought. Regardless, it's going to happen. Now Para isn't exactly helpless, but it's not a tank and bleeding takes its toll super fast. If you choose to fight, it has to end quickly. The following bullet points will explain. A personal favorite tactic of mine, when targeted by mid-tier carnivores, is to charge right at them with a head swing. For reasons I can only guess at, these players seem to never expect a Para to go on the offensive, and freak the ♥♥♥ out when it happens. Now Para headbutt can only do raw damage, it deals no bleeding or bone break, but this is apparently enough to scatter even a large pack in my experience. Thus, it's pretty much the best way to give yourself an opening to start running like the wind. On the off chance that you do get caught, the pummel attack will one-shot any small- to mid-tier carnivore bar the Ceratosaurus. You will get bit as the cost of doing this attack, though, so reserve it for a last resort and don't try to face-tank an entire pack with it. Even if the entire pack is somehow stupid enough to suicide themselves this way, you will undoubtedly die from the accumulated bleeding. You cannot fight the adult apex predators. If you're being vigilant then they should never even be able to reach you. Getting killed by Giganotosaurus is understandable given how fast its ambush is, but there's no excuse for allowing a Tyrannosaurus Rex to kill you. That's just your own bloody fault for not paying attention. Nesting is quite easy as a Para, and best used as a respawn point for group-mates. Like with all dinosaurs, Para hatchlings do not require water and can feed from the nest, so it is not necessary for them to be near food and water; quite advantageous to be away from the latter, in fact, to avoid predators. Both Isle V3 and Thenyaw Island have plenty of backwater areas that make ideal nesting grounds. The last point to cover is herds. A herd of Paras should usually be just as skittish as a single individual simply to avoid unnecessary bleeding, but may have to go on the offensive if there are juveniles or even hatchlings to protect (unless, of course, you're the sort of underhanded rogue who uses those as decoys). As stated above, Para's low-maintenance nature makes migration unnecessary for all but the largest herds. It might be wise to do so anyway, though, since the sheer amount of noise you generate is certain to attract... interested parties.